Coin dispenser & sorter made of ABS plastic for the 8 euro denomination. This money pouch is ideal for carrying out on the spot payment transactions quickly and easily. The server controls their cash during their shift without the need to use the main cash register. Every coin is well organized and sorted inside the coin dispenser by value /denomination and It also has 4 compartments for bills/notes. All the cash is perfectly organized and stored by value. Product Dimension: 2,1cm x 10cm x 7,5cm. Stores up to 100 EUROS. 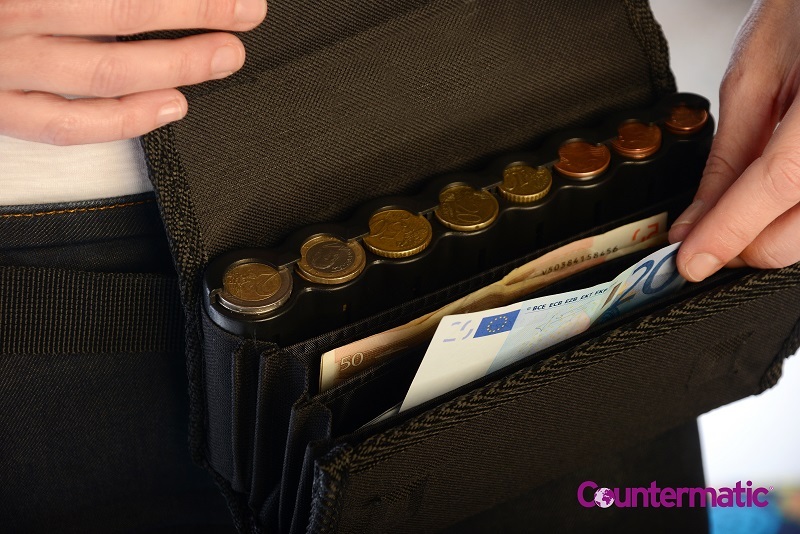 This portable cash pouch also includes a very resistant black ABS plastic coin dispenser with 8 coin tubes: one for every Euro coin currency. Cash transactions have never been easier and quicker when using this money pouch and coin dispenser. The plastic coin dispenser is placed in the last compartment of the wallet so there is no unnecessary loss of time searching for small change and the user can easily give the change to the customer with only one hand. This portable money pouch and coin dispenser is an ideal tool for bartenders, bus and cabdrivers, sales people, distributors, bingo and casino staff, in bars and restaurants/patios. It includes an adaptable cloth belt although the user can use their own belt. 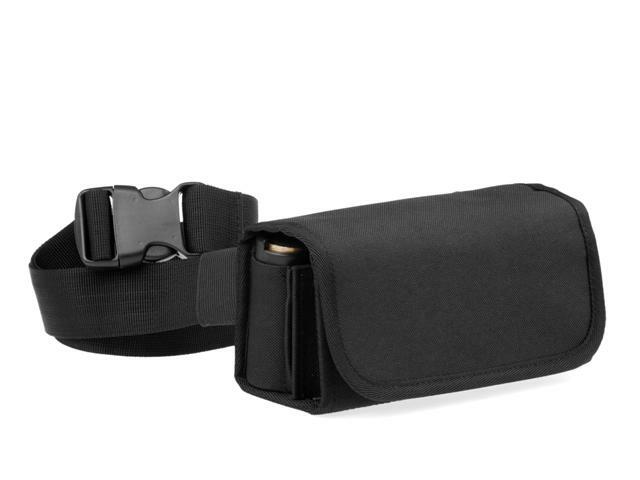 This item is similar to a belt pouch or fanny pack. 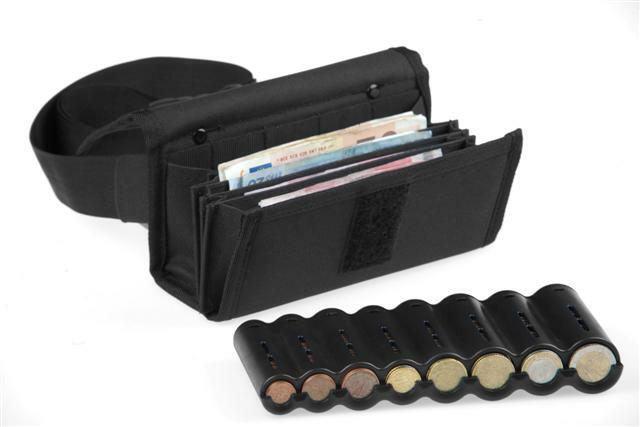 This portable money pouch with coin dispenser is made of very resistant black colored cloth. The front closure is magnetic which makes it safe and durable. This item is also availalbe in LEATHER. In addition, we also have portable printers with cases that adapt themselves to the money pouch belt. We can also customize other currencies like USD, GBP, CAD, CHF, ZAR, etc. with a minimum order of 400 units. coins which help to take out the euro coins and keep them sorted all the time.